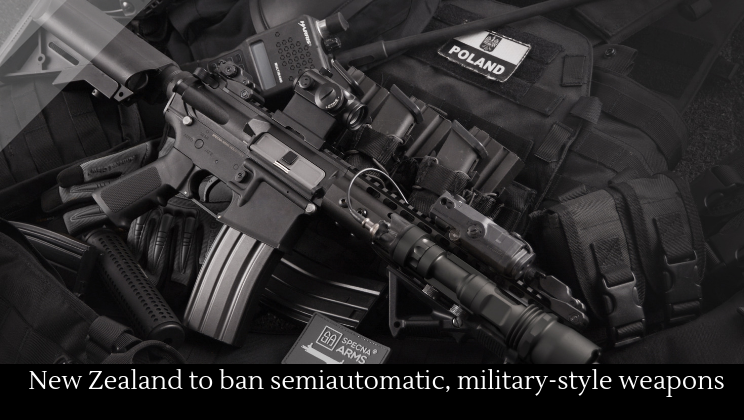 New Zealand Prime Minister Jacinda Ardern has announced that the country will ban military-style semiautomatic weapons, high-capacity ammunition magazines, and any parts that enable weapons to be modified into the style of weapon involved in the Christchurch shooting. Unlike most other mass shootings like this, the Christchurch shootings inspired immediate changes around the world. Reddit has responded to the mass shooting by banning its most violent, goriest subreddits: /r/watchpeopledie and /r/gore. The New Zealand Jewish community has taken the unprecedented step of closing their synagogues for Shabbat in solidarity with the community. New Zealand’s willingness to ban such guns has rankled many gun-control advocates in America, who feel frustrated by their nation’s lack of motivation to pass similar bans. Pundits from around the world have pointed to the Unite States for spreading white supremacist ideology, an ideology that inspired the Christchurch killer. Donald Trump denied that white supremacy is on the rise around the world a a consequence of the United States. But critics say otherwise Karam Dana, a professor of Middle East politics and director of the American Muslim Research Institute at the University of Washington, Bothell, has said that the “United States is the epicenter of the world in terms of how white identity is seen.” Whether the changes New Zealand has made will trickle back to the United States remains to be seen.